I have written widely on the suicides crises and on the need to disaggregate the data region by region and where necessary community by community and furthermore by age categories. I have also translated much of my research into journalism so the extensiveness of the crises can garner the necessary responses. However, now we need to move on a little and ensure that we work most profoundly with the highest need groups – and I believe the highest need group are people who have experienced incarceration. Of course, their children and families, and homeless and impoverished peoples are also of the highest need. A number of studies over many years have reported a high mortality rate in the first six months post-release from prison. The studies show much higher rates in unnatural deaths post-release than in the equivalent periods pre-release. At this time I am working on research on the links between incarceration and suicides. It will soon be evident that the majority of suicides and certainly no less than a hugely significant proportion of the suicides are by people who have been incarcerated. I have often written that in my experience people come out of prisons worse than they went in. With First Nations people, there are on average 2,400 deaths each year – from 2001 to 2010 there were 996 reported suicides – that is an average of 100 per year. I followed up with more data collations and estimated that there had been nearly 400 suicides from 2011 to 2013 – a rise to about 130 per year. I have also estimated that there is significant under reporting of suicides and/or classifying of what could be suicides as other forms of unnatural deaths. One in 54 of all First Nations adults on this continent are in prison today. That is an appalling rate – it is racialized imprisonment. The mother of all jailers, the Americans – with a quarter of the world’s adult prison population – endure a rate of 1 in 100 of their total adult population in prison. I have estimated that one in twenty something of all First Nations people on this continent have been to prison. 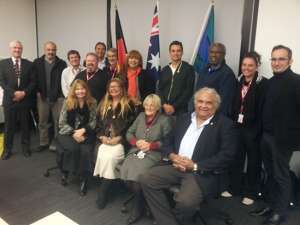 The criminalisation of this continent’s First Nations people is still not adequately discussed despite the volumes of statistical reporting and the summaries and one report after another touting diversionary programs and Justice Reinvestment. This criminalisation and incarceration of people impacts on an already struggling psychosocial identity and in fact for far too many cripples them psychosocially. The high rates of suicides are linked to the high incarceration rates. Both rates are on the rise and high arrest rates and high self-harm and suicide rates in various regions correlate – when one thinks about this it is no longer rocket science. There are other factors causal to both incarceration and suicide such as extreme poverty, the erasure of identity and racism and if these were addressed, reduced or eliminated hence psychosocial health would improve and confrontations with authority would decrease. Subsequently, trauma, multiple trauma, arrested development, self-destructive behaviours would decrease and hence there would arise a dramatic reduction in suicides. More needs to be done to help people while incarcerated – more than 8,000 First Nations adults are incarcerated. Not only are they the neediest group but they are also the largest group from where I believe the suicides arise from. It is not going to be anytime soon that Governments will relax the criminal justice system and reduce the numbers of people sentenced to prison nor are we going to see the penal estate transformed to restorative justice designs disposed to ameliorating human behaviours. But in the least we can campaign for adequate healing driven programs, for counselling with a bent for the reclamation of hope, for psychosocial, psychological and psychiatric counselling programs pre-release and post-release. The engine-room of the suicides crisis may not be prisons but it is where the majority of those who will go on to take their lives pass through. In addition more needs to be done with rehabilitation while people are in prison, with capacity building the focus – literacy, numeracy, educational skills and qualifications, and routine exercises in cultural and psychosocial identity, and then the transitional through-care support while on the outside. The ideal of halfway houses for post-release transition is just not going to happen anytime soon for people who need a little more time to adjust to how they should best engage with family and community before actually returning to their loved ones and community fulltime. But psychosocial support that starts pre-release can be on standby post-release if Governments see the light of day and fund this. It is my firm belief that last year and this year will report a rise in the suicides of First Nations people just as it will report a rise in their incarceration. We need to appreciate the impact of the behavioural disturbance that the harsh prison experience is on someone’s identity – the impact of isolation and of guilt-building. Further research by myself is focusing not only on the prevalence but the intensity of the impacts, low and high impacts and also on the chronicity of these impacts with long sentences and reoffending. Some prisoners and former prisoners are so broken, so deeply depressed and anxious, with dangerously low self-esteem, that they have said to me that it was best they were in prison, so their families at long last could have some hope. If we help those on the inside now, we will be helping not only one in 54 of all First Nations people but if it is ongoing many more, and in real terms their families and their communities. We may just radically reduce the suicides crisis among First Nations people.